The County Treasurer is an elected official responsible for receipting, disbursing and investing all funds for the county. Treasurers are also responsible for balancing, reconciling and ensuring that monies are correctly accounted for in separate funds as required by Missouri law. The County Treasurer is the custodian of school funds and responsible for disbursing such funds. The Treasurer is also the investment officer of the county and is responsible for investing the county's tax dollars in safe insured financial institutions. The county uses the bid process for all investments with primary objectives of safety, liquidity and yield. All monies are collateralized in accordance with state law. Monthly settlements are filed with the County Clerk's office to insure consistent checks and balances and good internal control. 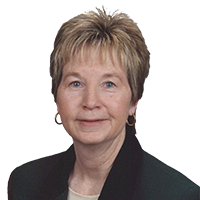 Carol Green has held the office of Phelps County Treasurer since 1992 and brings a strong financial background to her position. She has a B.S. in Accounting from Southern Illinois University-Carbondale with 15 years prior experience with Alfermann & Gray, CPA. Green has been active in the Missouri Association of Counties (MAC) and served as president in 2013. She currently serves on a 5 member board that directs the MAC’s self-insured Worker Compensation and Insurance Trust. The trust was established in 1987, in accordance with Missouri state statutes, for the purpose of providing cost-effective worker’s compensation coverage to member counties. She also serves on the County Reinsurance, Limited (CRL) board which is a member-owned reinsurance company that provides coverage to MAC. CRL was formed in 1997 by county associations that operated their own self-insured pools. In 2002, Green served as president of the Missouri County Treasurers’ Association. The County Treasurer's normal office hours are from 8:00 a.m. to 5:00 p.m., Monday thru Friday.